Do you need a special discount in this 2019 ? 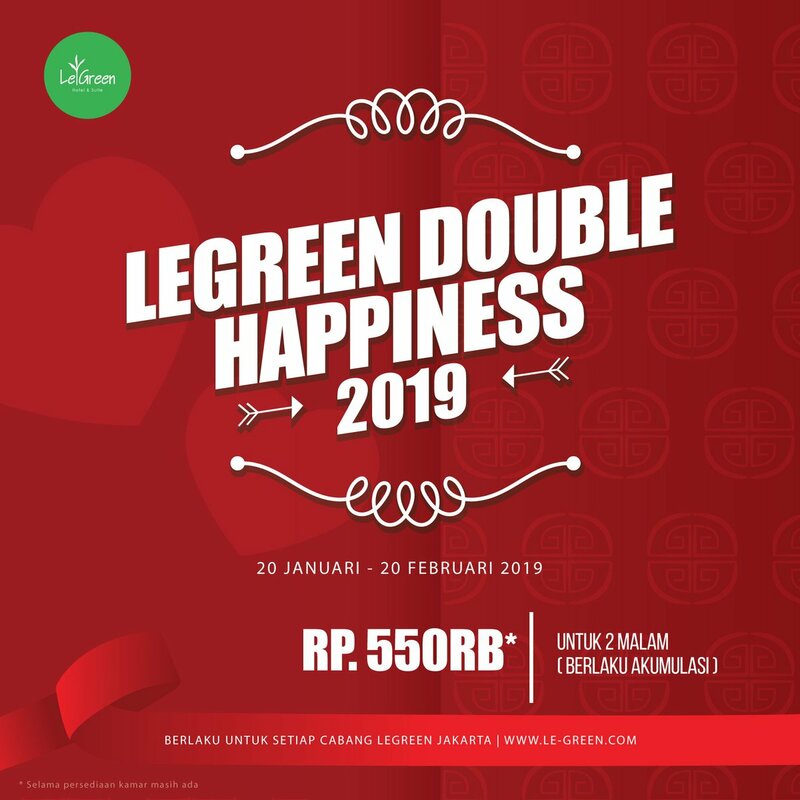 We presented you a best hotel accommodation with special rates in January and February, the #legreendoublehappiness2019 promo. With this package, you will get a double benefit and also the accumulated price. Every packet multiplication, you are entitled to the same rate ( as long as the room is still available). For information and reservation please call or whatsapp at 08128923388. This promo is valid for all LeGreen Jakarta branches.